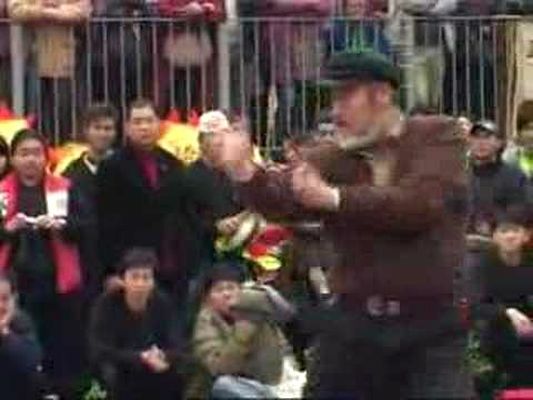 In this clip Sifu Ringo Lo demonstrates an advanced Pak Mei (Bak Mei or Bai Mei or White Eyebrows) form kown as Gau Bo Toi (9 Push Step). The theory of Pak Mei goes by numbers such Three Shapes, Four Dynamics, Five Elements etc. Click here to read more. Feet go with the Hips. 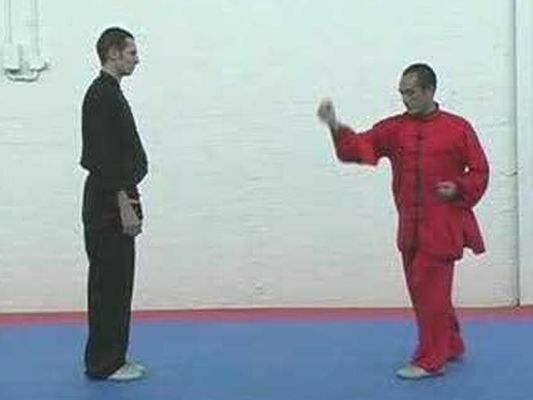 In this clip Master Liu Deming shows some some mean applications of Liu He Men. How would a martial artist's resume look like, or better still, his or her video resume? 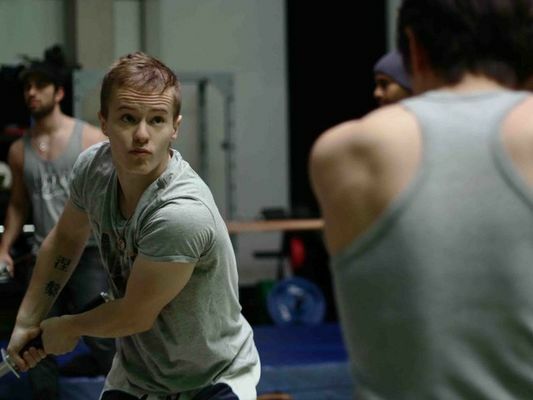 Martial arts actor and stuntman Dawe Szatarski, who is schooled in Muay Thai, Silat, Ninjitsu and Taekwondo, offers a video resume of his past works. Though the fights are fictional, it's an action packed nonetheless. When a martial art is choosen to be the martial arts of the imperial, head of state and presidential body guards in China and Taiwan, it must have been tested and found useful. Bajiquan has this distinction in the early part of the 20th Century. A popular art in Taiwan, the second half of this short clip shows some applications. 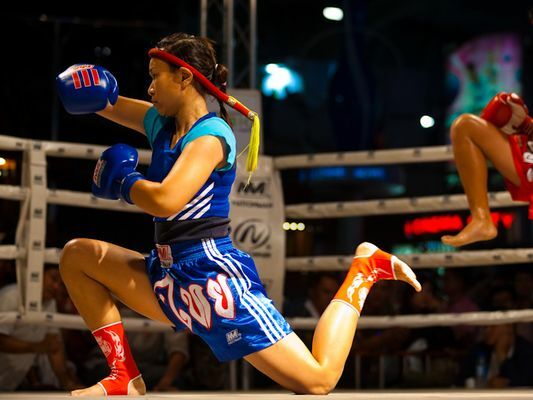 The shoves shown are executed as strikes in actual combat. After a short break due to martial arts duties, we are back with a two part series on Taiwanese martial arts from the archives of martial arts researcher Eric Ling and the National Geographic Channel. 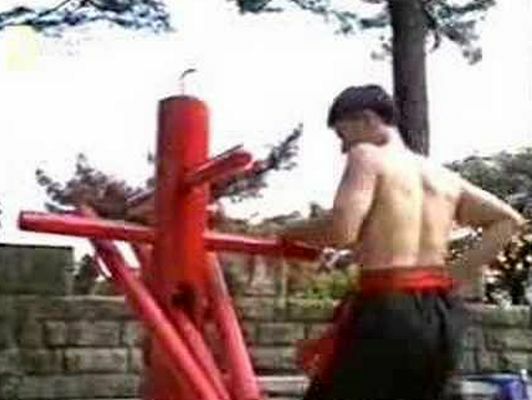 First off, is a clip of an unidentified hard kungfu style with a punishing training regime. Look out for the scary, calloused hand towards the end of the clip.